Birthstones, what do they mean? Birthstones. What do they mean? January: Garnet The birthstone for those of you who are a Capricorn and born in January, is a Garnet. A beautiful deep red stone that can also be found in green, yellow and orange. The name Garnet comes from the bright seeds of a pomegranate. Capricorn’s are said to be loyal and pure. When a piece of Garnet jewellery is given as a gift, it is said to represent true friendship. February: Amethyst The birthstone for February is an Amethyst. 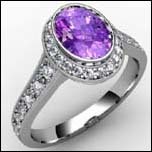 Amethysts are said to bring peace, symbolising the pure violet colour of the stone. As Aquarius? are said to be independent, this is the perfect gift to bring stability and peace into someone’s life. March: Aquamarine We all associate the word aqua with sea and calm, which is exactly what the colour of an Aquamarine stone represents. Aquamarine is the birthstone for Pisces. Pisces? are said to be doubting and shy to show their emotions. A pure, calm birthstone like Aquamarine will bring clarity and peace to the wearer. April: Diamond A Diamond is the birthstone for Aries. 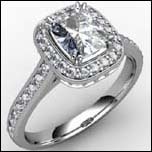 Diamonds are strong, bright and exciting, just like people that have the Aries star sign. 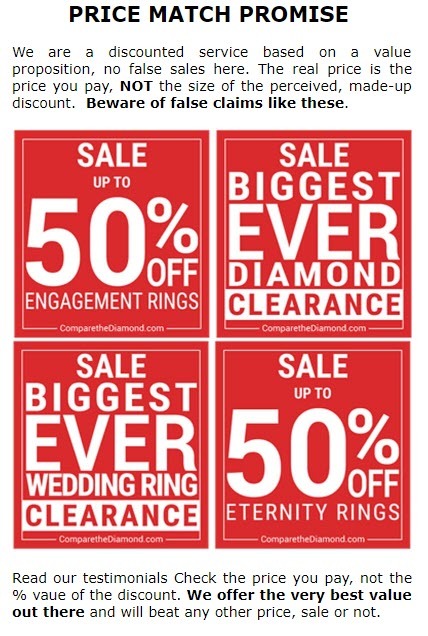 They say Diamonds help create strong relationships and enhance a human’s inner strength. Diamonds are the perfect gift to show courage, strength and love for a person. 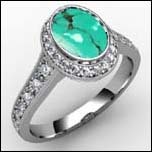 May: Emerald Emeralds are the birthstone for a Gemini born in the month of May. The beautiful green of an Emerald symbolises clarity, faith and endless love. 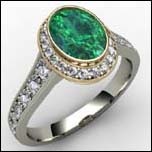 Emerald’s make beautiful jewellery that are considered special to have in your jewellery collection. June: Pearl The birthstone for a person with the star sign of Cancer is a Pearl (or an emerald). 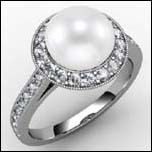 Pearls are formed when a foreign substance slips into an oyster shell, the oyster tries to protect itself by covering this substance with nacre; nacre is a substance that forms the oyster shell. Eventually a Pearl is created. Pearls symbolise purity and chastity and are also associated with good, strong relationships, making Pearls a beautiful gift. July: Ruby The birthstone of July, Ruby Diamond Eternity Rings make the perfect gift for anyone with a July birthday, who marry or married in July or who gave birth in July. 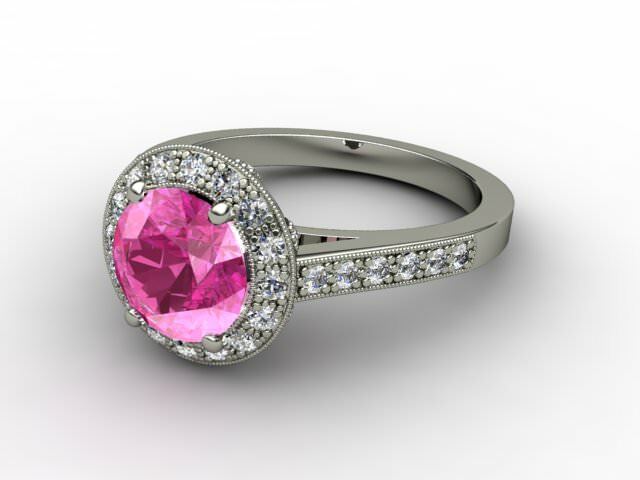 The fiery colour of a Ruby symbolises devotion and desire. A Ruby Diamond Eternity Ring is the symbol of love. 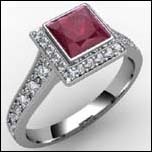 Rubies are a rare deep red stone that look beautiful in jewellery. Ruby Diamond Eternity Rings represent strong, passionate, un-dying love for a person. August: Peridot Peridot gems are a beautiful lime green colour, representing the Virgo star sign. Peridot jewellery can be worn as a symbol of protection but it also symbolises loyalty, fame and success. This beautiful stone creates stunning jewellery with its gorgeous bright colouring. 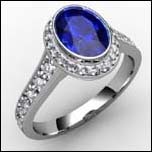 September: Sapphire Those with the star sign Libra, have Sapphire as their birth stone. Sapphires can be found in many different colours including blue, pink and yellow. Sapphires symbolise truth, sincerity and faith. They are said to bring joy, light and peace to the wearer. Those born in September are said to be graceful and peaceful, similar to a Sapphire. 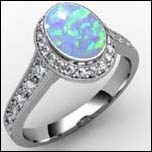 October: Opal Opals are the perfect gift for those born in September. Opals have a unique rainbow colouring which makes for beautiful jewellery. An Opal is a very spiritual stone, it is said to help reach the highest spiritual level and increase spiritual vision. Opals are said to bring good health and hope. November: Topaz The birth stone for a Scorpio born in November is a Topaz. 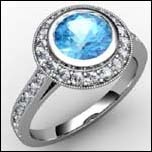 Topaz stones can differ in their blue colouring, creating stunning jewellery. 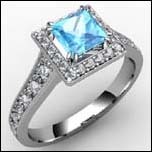 A Topaz can also symbolise the anniversary of the 4th or 9th year of marriage. A Topaz symbolises peace, stability, wisdom and courage. December: Turquoise Turquoise is the birthstone representing those born in December. Turquoise ranges in colour from teal to blue to green. When given as a gift, turquoise is said to bring good fortune, peace and protect the wearer from negative energy. In jewellery, turquoise is a beautiful calming stone.